"Maggie McBean dau. of A. McB." "Mr. & Mrs. Alex McBean." "Mr. & Mrs. Alex McBean." by Wm. Elliot, Galt. 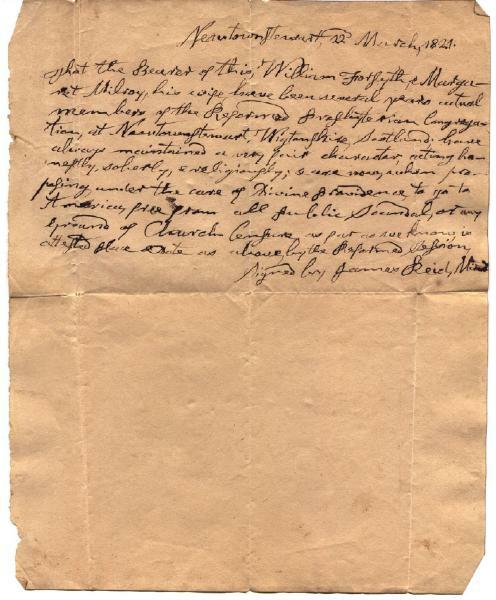 1821 Letter of introduction for William Forsyth. Recorded as Roy rather than Milroy. Fairly confidnet it should be Gilbert Milroy and family. 1841 Sep 18 in The London Times partnership dissolved. Charles Field, farmer in Marden, Kent.